NEW DELHI, Feb. 3 (Xinhua) -- Six people died while four were grievously injured and seven others received minor injuries when a train derailed in India's eastern state of Bihar early on Sunday. The Indian government has announced a monetary compensation of 500,000 Indian Rupees (about 7,142 U.S. dollars) for the dead, 100,000 Indian Rupees (about 1,428 U.S. dollars) for the grievously injured, and 50,000 Indian Rupees (about 714 U.S. dollars) for those who received minor injuries in the accident. Indian Railways spokesperson Smita Vats Sharma told Xinhua that all medical expenses on the injured people will be covered by the Indian Railways. The Delhi-bound train derailed in the Vaishali district of Bihar state when the driver of the ill-fated train was trying to change the tracks. The "12487 Jogbani-Anand Vihar Seemanchal Express" was reportedly running at full speed and the passengers were asleep when the accident occurred at around 4:00 a.m. local time. "We are focusing on rescue and relief operations right now. 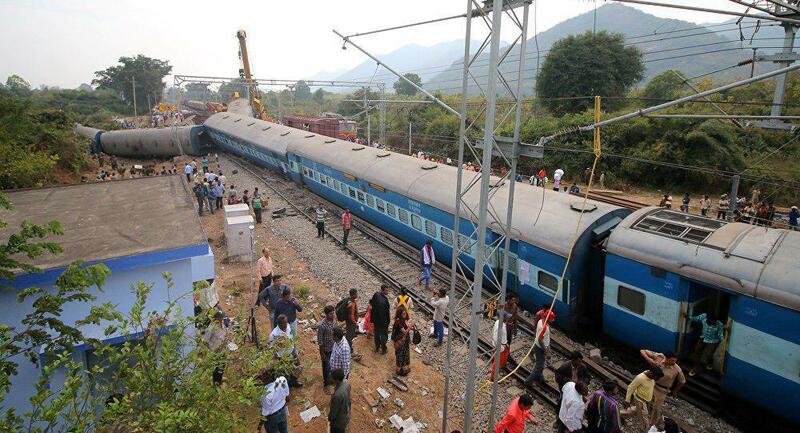 Railway Accident Medical Van along with team of doctors are at site. Two teams of the National Disaster Response Force have reached the spot," said Sharma.